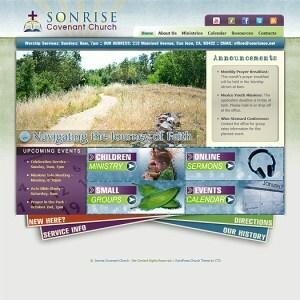 Launching a great church website is an opportunity to keep congregants informed and inspired, while also making the right impression for visitors. These premium WordPress church themes featured here at CMS Themefactory are crafted with care to let you do just that. And just as importantly, running on the Genesis theme framework, these stellar designs are as easy to manage and build upon as they are visually appealing. Whether looking for a clean, minimal design, or a textured design scheme, you can find it amongst the responsive WordPress church themes featured here at CMSTF.